The CSUSM’s volleyball team lost to the Cal State Los Angeles Golden Eagles, three sets to two, in a California Collegiate Athletic Association (CCAA) matchup on Tuesday at The Sports Center. Both teams fought through all five sets after Los Angeles came back from a 2-1 deficit to outscore the Cougars in sets four and five (25-15, 22-25, 18-25, 25-16, 15-10). CSULA prevailed in the first set and finished with a .286 attack percentage compared to CSUSM’s .062. Ten Los Angeles errors and a strong 7-1 run for San Marcos tied the contest at one set a piece. The Cougars took a 2-1 lead after taking set three by seven points. The Golden Eagles retaliated in sets four and five by recording 26 kills to finish the match with a victory. 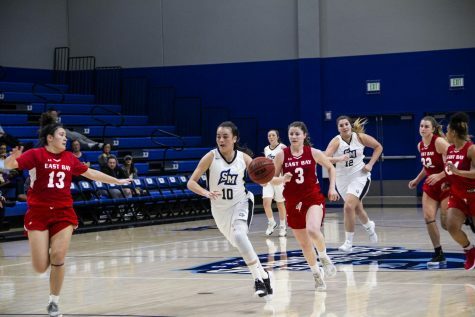 The Cougars dropped to 8-8 overall and 4-4 in CCAA play while the Golden Eagles improve to 15-1, 7-1 in CCAA. Olivia Aguilar, a junior outside hitter from Lake Forest, CA, led the team on the attack with 11 total kills; Maddy Newcombe and Courtney Hulla followed with nine each. Senior middle-blocker, Faith Fortuné, finished the night with a team high 10 blocks. The Cal State San Marcos libero, Grecia Cordero-Barr, was credited with 24 digs, the second highest of the match. 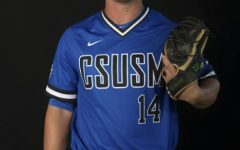 Cal State San Marcos will be continuing their homestand when they take on another nationally ranked team later this week. They will be welcoming No. 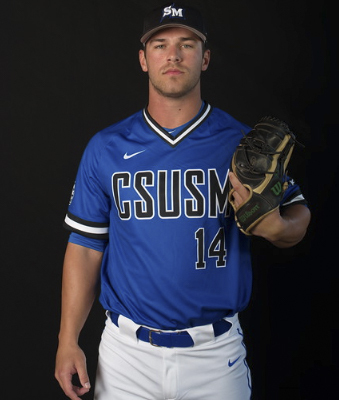 24 Cal Poly Pomona to The Sports Center on Friday, Oct. 5, gametime is slated for 7 p.m..